For the first time in its history, The University Times surpassed one million unique readers in a calendar year. While The University Times has not had a year without major missteps, by and large, its output has been consistent, of a high standard and has had an impact across the many areas that it covers. What we consider important is that whatever is going on behind the scenes, our readers can expect a regular, predictable output that is written and produced fairly, properly and without error (insofar as that is possible). Whether it’s dominating coverage of the government higher education funding working group, holding the Provost to account, or covering the annual Trinity College Dublin Students’ Union sabbatical officer elections in great detail, we’ve had yet another year of unwaveringly pushing the boundaries of what student journalism can do in a university, and beyond. The University Times won two major awards – Student Publication of the Year for the second year in a row, and the world’s best designed student newspaper, an award judged by the likes of the Washington Post and the Boston Globe. When working on something like a newspaper, the most immediate way of judging its impact is by looking at how many people read our articles. And for the first year, The University Times surpassed one million unique visitors to its website, or 1,007,592 readers and counting as this article was published. Across the board, the articles that were the most read of the year were amongst the most important ones – and that is gratifying simply because the important ones are almost always the ones that require the most thought, discussion and debate in our office before they are published. Below is a list of our top 15 most read articles, whereby “most read” means that they received the most unique visitors over the course of the year, and they each had an average read time above two minutes. The worst thing imaginable to have to write about – in any setting – is someone’s death. In a small community like in a university, however, the death of someone on a campus is a big deal. Even more so than when you hear about a car crash in a city, or when you hear about a death happening somewhere across the country, a death in such a community is immediately harrowing, and even the rumour of such a thing happening brings out the worst fears of everyone: that it is someone they know. In small communities, when rumours spiral, like they did in the hours after emergency services arrived at the Berkeley, Lecky, Ussher library complex to tend to the death of a man on the Friday of Freshers’ Week, it is up to local media to act as an informant, and to present basic facts about a situation that, without revealing too much detail, allay the worst fears that people might have. In this case, The University Times was able to confirm that the man was not a current student of the College. The piece received 42,000 unique readers. In the space of a few hours, 25,000 unique readers visited our live blog for the 2015 Trinity College Dublin Students’ Union sabbatical officer elections, which saw Lynn Ruane elected the first female president of the union since 2003’s Annie Gatling. This live blog is also the page that had the most concurrent readers – that is the most people on the page at one time. February 2014 was the first month in which The University Times had more than 100,000 unique visitors. While that has now happened quite a few times, there were about 122,000 unique visitors in the election period, and February 2015 finished with over 186,000 readers. This live blog finished out the year with 32,000 unique readers overall – firmly cementing the union’s elections as the high point of the year for our readership. It attracts the most interest, the articles tend to be the most engaged with, and while people talk about apathy or lack of interest in student politics, people are at least interested to read about it. 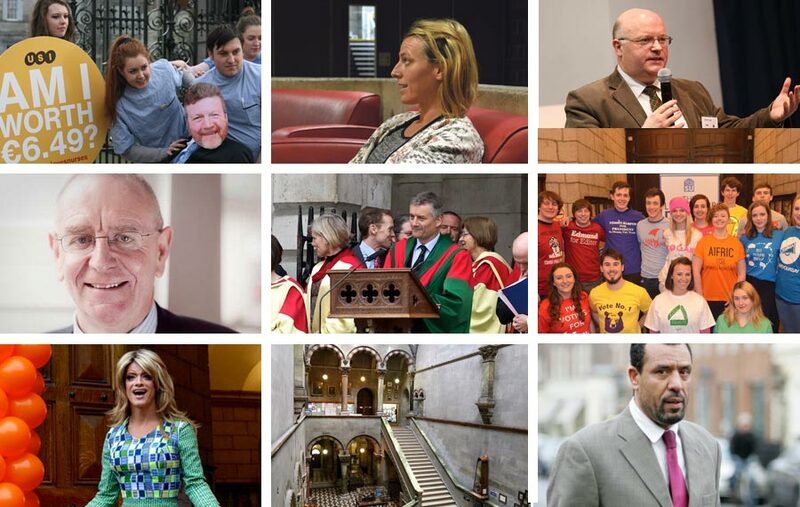 And, Trinity’s political sphere is always of interest to outsiders, too – as much as they’d hate to admit it. Dr Ali Selim, an adjunct lecturer in Trinity’s Department of Near and Middle Eastern Studies, told the Niall Boylan Show on 4fm that he would seek legal advice if Irish journalists were to republish cartoons from the French satirical weekly newspaper Charlie Hebdo that depicted the Prophet Mohammed. Selim made the comments on January 7th, the same day that the newspaper’s offices were attacked by Islamist extremists, with 11 killed and 11 injured. 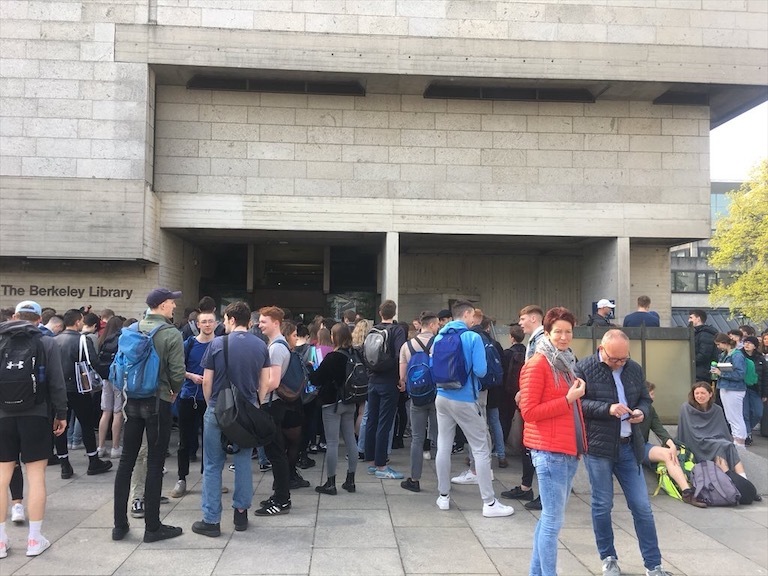 The University Times set the national agenda on the story, reporting on Selim’s comments before the Irish Times in a story which saw over 17,000 unique visitors in the space of a few hours and which informed the coverage of other media outlets, including RTÉ. The coverage allowed both the Trinity and Irish communities to debate the attacks, with over 1,000 retweets to the story on Twitter alone. The University Times dominated the coverage of the government’s report into higher education funding, which was set up in response to the ongoing higher education funding problem. Back in September, the Editorial Board of The University Times said that it seemed nothing innovative was to come from the report, with the introduction of tuition fees and a student loan scheme looking to be the most likely recommendation by the group. This prediction proved true when, earlier this month, The University Times broke the story nationally that the working group, chaired by Peter Cassells, is to recommend a package that would include an income-contingent loan scheme in conjunction with a €1,000 increase in the student contribution charge. SUSI would cease to pay the charge for students – forcing all students to pay up front or take out a loan for the €4000 fee – but would pay increased living costs, known as maintenance, to eligible students. The group is also to recommend increased exchequer funding and an increase in the employer contribution to the National Training Fund (NTF). 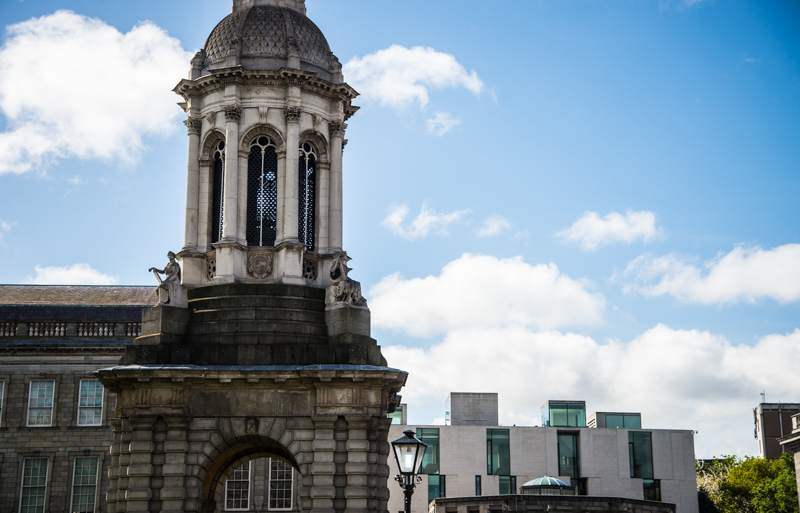 The story, which is the most important development in higher education in years, received a huge reaction, including the passing of a motion at Trinity College Dublin Students’ Union council which mandated the union to oppose an increase in fees. So far, it has had over 27,600 unique views. The University Times’s coverage of the findings of a report that found 60 per cent of Trinity’s midwifery students were bullied when on placement, and that 100 per cent work nighttime or weekend hours, despite an agreement between unions and the HSE that students would not work such hours, was met with shock by the College community. While most of the College community is aware that students who undertake placements are left working long hours for little pay, these findings showed that these students were being seriously mistreated, and that the structures were not even in place for students to speak out about it. The piece received significant attention from students and staff from all over the College, with just over 26,400 unique views. Following the report, a working group with an external chair was set up to examine the issues it revealed for students on placement in the Rotunda and the Coombe hospitals. Eoin O’Dell, Associate Professor in Trinity’s Law School and then-Chair of the Fellows of Trinity College Dublin, responded to comments from Dr Ali Selim (described above) with an authoritative op-ed defending the legality of publishing the Charlie Hebdo cartoons in Ireland. O’Dell, in a piece that reached over 25,600 unique readers, used this contentious issue to draw attention to what he calls the “unwise” blasphemy provisions of the 2009 Defamation Act. He likewise stressed sympathy for the numerous direct and indirect victims of the attacks, as well as the need to “be able to discuss and debate issues of faith and politics, rather than seek to have the law come down on one side or the other”. The news on Christmas Eve that both the Department of Health and the HSE had agreed to proposals which would see nursing students finally paid at or above the minimum wage on their internships was met with a really significant response. Within the space of hours, the social share count on the article page said that over 5,000 people had interacted with it on Facebook – a tally that is now at over 6,000. So far, the article has had just over 24,300 unique readers. The news followed what The University Times and many others referred to as “five years of strife” – a prolonged campaign for better pay and better treatment on the part of student nurses, who, up to now, had been paid €6.15 per hour. It also followed several months of reporting by The University Times’s Emer Gerrard, who broke the story that student nurses were threatening to strike in October. 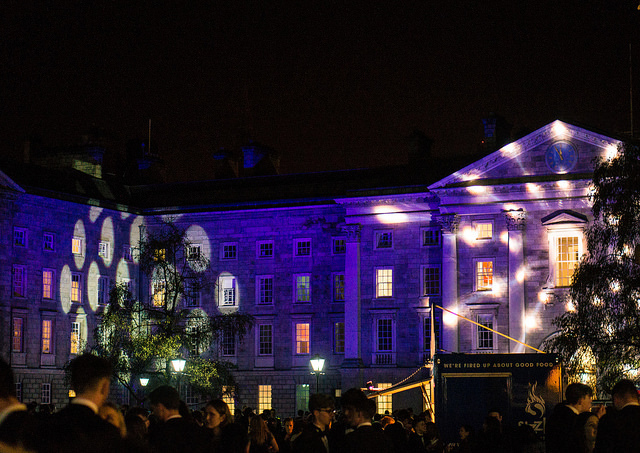 One of Trinity’s longest-established traditions – the announcement on Trinity Monday of the scholars and fellows elected – is a top performer every year The University Times reports on it. The article ended the year with just over 19,000 unique visitors. 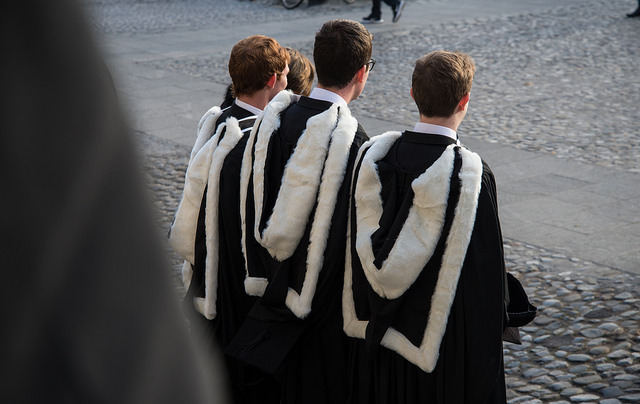 Trinity’s history and traditions peak the curiosity of everyone who passes through its Front Gate, and the Provost announcing the names of 67 scholars – down from 99 the previous year – is no different, especially given the awe with which he seem to hold scholars in. The College Board elected both Professor Yvonne Galligan of Queen’s University Belfast and Leo Goodstadt, CBE honorary fellows of the College. Galligan is the founding Director of the Centre for Advancement of Women in Politics (CAWP), and is closely associated with Trinity through her involvement in the Athena SWAN programme implemented by Trinity, and Goodstadt has a long-standing association with the College through the School of Business and the development of the Trinity Centre for Asian Studies. When a member of staff emails students telling them to take action against the College, it’s a big deal. When the member of staff is a distinguished academic, a Fellow and a member of both the College Board and the College Finance Committee, it’s a really big deal. In April, Prof Peter Coxon, the Head of the Department of Geography emailed all third-year geography students, urging them to take action against the Faculty of Engineering, Maths and Science and College for what he called the “incredible erosion of our ability to teach whole sections of a geography degree without the discipline being given any indication of future staffing”. He subsequently spoke to The University Times regarding his email and the situation that the department was in as a result of staffing cuts. The Irish Times, on two occasions, referred to our article as evidence of a crisis in higher education, and it was widely discussed in higher education spheres, receiving 18,500 unique views by the end of the year. In an unprecedented article, The University Times reported on the statements of several current and former non-student members of the College Board – all of whom raised issues with the way the board was being run, and in particular with the way the Provost chairs the discussion at its meeting. One such board member told The University Times that they were treated with such “disrespect” at a meeting that they in turn had “no further respect for the way the college is being run”. A former non-student member said that, often, “the impression from the Provost can be that we are just bothering him in the implementation of his plans”. Another current Board member said that the Board was “barely functional” and that debate was frequently closed down. In response to request for comment from the Provost, the College Secretary conducted an analysis of contributions at the meeting prior to the article, and the article was subsequently the subject of a discussion at the next Board meeting, in which the Provost referred to it as both the “featuring of an article on the College Board by a publication” and a “recent breach of Board confidentiality”. The article finished the year with over 12,000 unique views. 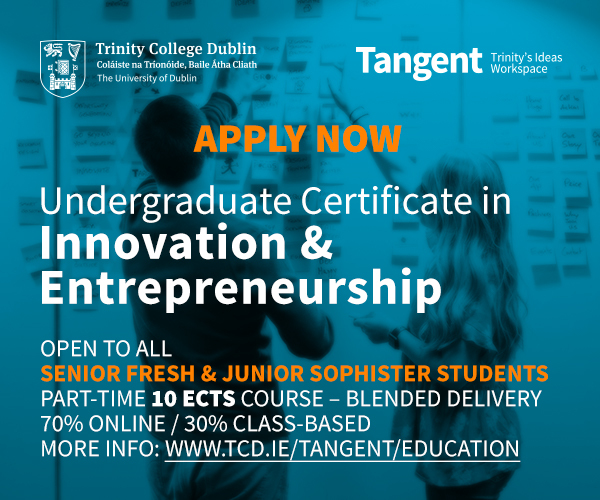 TCDSU’s 2015 presidential race saw the personal become political, as an apparent campaigner for candidate Conor O’Meara appeared to publicly suggest that fellow candidate Lynn Ruane would struggle to manage the dual roles of mother and President of Trinity College Dublin Students’ Union. The implications of this line of questioning immediately struck many observers as unfair, given Ruane’s extensive accomplishments as a community activist and student parent. After the Trinity Hall hustings, Ruane released a statement condemning the suggestion that employment and parenting are mutually exclusive, saying she wants her children to grow up in a world where “your gender, class, parental status or race is not a barrier to success”. While the Halls hustings seemed like a huge turning point in the race, which Ruane went on to win, polling from the Wednesday, Thursday and Friday prior to it predicted that Ruane was already in the lead by a wide margin. The article finished the year with over 8,500 unique views. Trinity students have a weakness for learning anything new and unique about the College, so it’s no surprise that Jenny Duffy’s rundown of some of the hidden gems right here on campus was one of the year’s most popular articles. 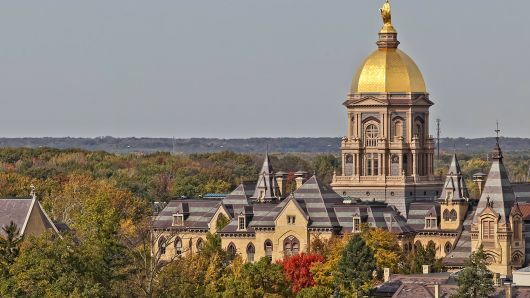 While we may all be sick of hearing about the Campanile and the Book of Kells, any whisper of anything more secretive that one of the oldest campuses may have to offer is always of interest to those who study here. Duffy explored some of Trinity’s well-known but often unexplored assets, include the Museum Building and The Douglas Hyde Gallery. Also explored are those which the average student may not know about: Early Printed Books, and Trinity’s Zoological Museum and the 1937 Reading Room. One of the only non-news article to make our top 15, the article saw 8,450 unique views, proving that the Trinity community always wants to know more about our campus and what makes it so special. Compiling the past five years of CAO points for every course at Trinity, including every possible TSM combination, was no easy task. But we did it nonetheless, and we found some interesting trends along the way. Trinity’s science, engineering, and maths courses saw across-the-board increases for the second year in a row. Law-related courses experienced similar increases, while many arts and language courses dropped off significantly. It’s easy to get lost in all of the numbers, but this is an invaluable resource for those interested in digging deeper into the points system. The piece finished the year with roughly 7,800 unique views. It’s not everyday that one of the oldest universities in Europe gives an honorary degree to a drag queen, but that’s exactly what happened in November when Trinity gave an honorary degree to drag queen and activist Rory O’Neill, aka Panti Bliss. 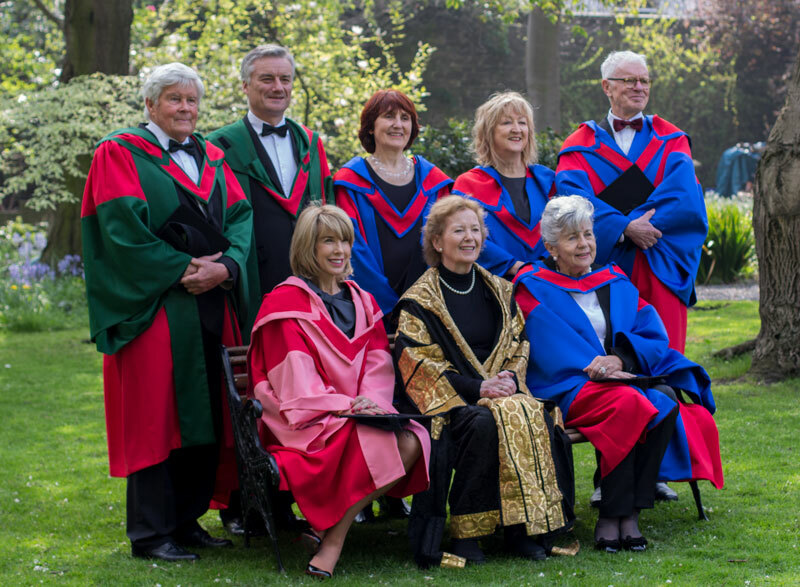 Alongside O’Neill, University of Dublin Senator David Norris, homeless activist Fr Peter McVerry, Holocaust survivor and speaker Tomas Reichental, lawyer and human rights activist Hina Jilani and women’s’ rights activist Graça Machel received honorary degrees. It was O’Neills inclusion, however, that got the most positive reaction, with students and the wider community interpreting the move as symbolic of Trinity’s values of equality, diversity, acceptance and progress, and of recognising O’Neill’s work in speaking out about homophobia and during the marriage equality referendum. Receiving 7,653 unique views, the piece was shared by Bliss on social media, who changed her Twitter handle to Dr Panti Bliss, and received hugely positive reaction from the Irish public, with over 2,000 interactions on Facebook. The news that President of Trinity College Dublin Students’ Union (TCDSU), Lynn Ruane, is to run in the Seanad elections was met with a huge amount of positivity. Ruane, who has served as President of the union since July, is to run as an independent candidate in the university panel, and the announcement lead to an outpouring of support from not only those in the College but from national politicians and policymakers. Ruane told The University Times that she felt it was time that new people entered politics, and that she wanted to act as a voice for both young people and for education. A community development worker and a single mother from Tallaght who left school at 15, Ruane has become a national figure since her election to TCDSU President. A story that was subsequently picked up by the Irish Times the following day, the piece received over 7,000 unique views, proving that the Trinity community celebrates its own.